When the gavel comes down on the legislative session on Monday, lawmakers will have failed to pass into law about two dozen different proposals aimed at curbing conflicts of interest and shining light into the dark corners of the Capitol. A new loophole elected officials can use to avoid financial disclosure? Check. Giving Texas politicians and bureaucrats special treatment when they commit white-collar crimes in Austin? Done. Keeping the public in the dark about lobbyist wining and dining? Accomplished. When the gavel comes down on the 2015 legislative session on Monday, lawmakers will have considered, but ultimately failed to pass into law, about two dozen different proposals aimed at curbing conflicts of interest and shining light into the dark corners of the Capitol. Taken together, they were some of the farthest-reaching reforms the Legislature has considered in years or even decades — such as restricting legislators from immediately going from public service to lobby work, banning lawmakers from profiting off of public debt-financing deals and taking lucrative government pensions away from politicians who are convicted of serious public corruption charges. That all proved too controversial, or too inconvenient, to make it out of the 84th Texas Legislature. Aides to Gov. Greg Abbott, who in February called on legislators to “dedicate this session to ethics reform,” did not respond to messages seeking comment about the failure of one his signature initiatives. 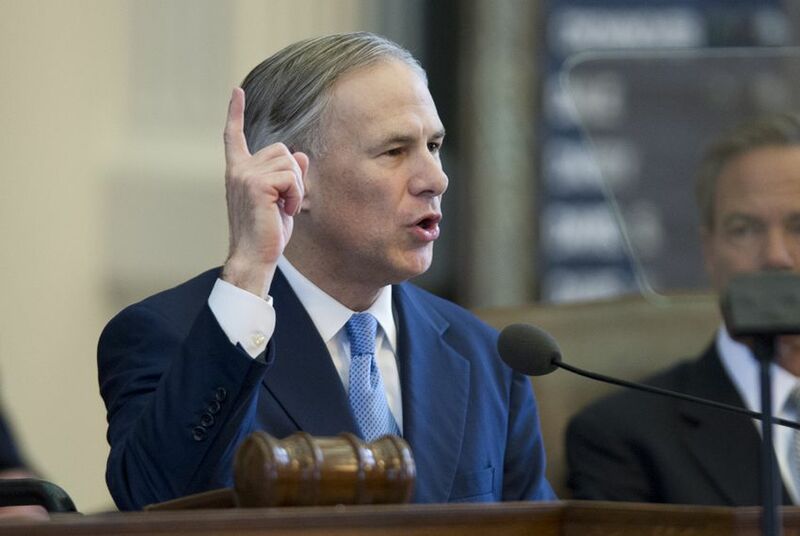 Abbott has given no hint that he would call a special session on ethics reform. A few reforms did survive — some of them applauded, some scorned — and Abbott will get the final say because he’s the one who can veto them or sign them into law. Among the surviving items watchdogs cheered (and which Abbott has already said he favors): a bill by Rep. Chris Turner, D-Grand Prairie, ending the double-dipping loophole that allowed longtime politicians like former Gov. Rick Perry to draw a salary and pension at the same time. Turner also helped add an amendment to a separate bill requiring state officials to reveal pensions and "public benefits" on their annual disclosures. In 2011, the public only found out about Perry's pension payments when he ran for president and had to reveal them under more stringent federal rules. And lawmakers moved to require more sunlight on elected officials who profit from government contracts or certain public debt-financing deals. Rep. Giovanni Capriglione, R-Southlake, managed to overcome the anti-ethics inertia to pass a bill requiring governmental entities to provide to the Texas Ethics Commission a list of people who have a financial interest in their significant contracts. One place to start might be the rubble of Senate Bill 19. That major overhaul effort fell apart two days before the clock ran out on the session and quickly dissolved into finger-pointing between the House and Senate over whether to require disclosure of anonymous donations given to politically active nonprofits. The House wanted it. The Senate didn’t. And efforts at compromise failed. Buck Wood, a Democratic lawyer who helped push though ethics reform after the Sharpstown stock fraud scandal shook up Texas politics in the early 1970s, predicted as much several weeks ago, as hearings on the broad reforms were just starting. That’s not to say lawmakers didn’t do anything to change the laws that affect them, but it wasn’t what the reformers had in mind. Sen. Joan Huffman, R-Houston, managed to tack on an amendment — in two different bills — that opens up a “spousal loophole” allowing politicians to shield details about their spouses' financial holdings. Huffman was also instrumental in passing a bill creating a unique carve-out for lawmakers accused of public corruption. If Abbott doesn't veto it, no longer will he or other state elected officials be required to face an investigation by local prosecutors in the county where the alleged corruption occurred. Instead, they will face an initial probe by the state police — whose budget the politicians oversee — and then prosecution and trial in the county where they maintain a homestead. For most legislators, that means they would go back to their home districts, leading critics to accuse proponents of institutionalizing a “home field advantage.” Huffman said the change was needed to restore credibility to the current system, in which politicians are investigated and prosecuted by a unit operated by the Travis County district attorney, a Democrat. Republicans have argued for years that Travis County has let partisan politics influence its investigations. During a debate on the Senate floor in April, Watson, the Austin Democrat, got into a noteworthy sparring match with Huffman over the concept of creating one criminal justice system for average Texans and another for politicians and state employees who are accused of abusing their posts. Until there is final action by Abbott, it’s impossible to say at this point whether the new prosecution system for public officials — or any of the other ethics reforms passed by the Legislature — will make it into law. Either way, it’s nothing like the dramatic overhaul Abbott advocated as a candidate for governor. And it’s nothing like what Sen. Van Taylor, R-Plano, set out to do at the beginning of the session, when reformers expressed hope that the stars had aligned for it. Taylor singled out in particular the failure to pass legislation banning lawmakers convicted of serious crimes from receiving their lucrative retirement benefits.